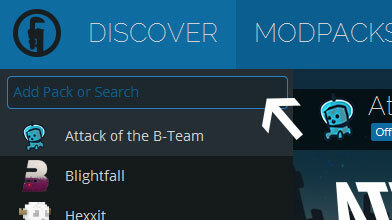 Type in the modpack name (Hexical Future 2.0) or paste the following url into the search box. Finally, click Install at the bottom right of the launcher after you select Hexical Future 2.0 from the list on the left. The launcher will handle everything else! The original Hexical Future was my take on an updated version of the Hexxit platform for MC1.6.4. Hexical Future 2 is created in much the same vein except for MC1.7.10. I have taken all the mods updated for original Hexxit + the mods from the Hexxit 2.0 beta for 1.6.4 that are updated + my own selection of extras and added them all into one pack. This pack will not work with only 1gb of ram allocated to the game! I've been doing all my testing with 4gb, 2-3gb should work fine though. This pack contains Fastcraft, by Player, enabled by default. Fastcraft enhances Minecraft with increased performance. Bug reports being made directly to Mod Authors should state Fastcraft is enabled. I have included the better fps mod as well. Which setting on better fps works best depends on your pc so you'll have to try different ones to find what's best. F12 is the config menu. --I have included the version checker mod. It does a pretty good job, it doesn't work for all mods though. It does give false positives so keep that in mind and check your version numbers if you want to update a mod before I get around to doing it myself. As of version 2.153.0 it should be showing 6 updates, and they are all false positives. --When creating a new world your client may crash. I have encountered random crashes from ruins mod and dimension doors before when trying to make a new world. Just try again. This isn't as prevalent in the newest version as it used to be and may in fact be ironed out by now. Leaving this note just in case. --The way optifine works with forge now you have to use a specific version of optifine with a specific version of forge. 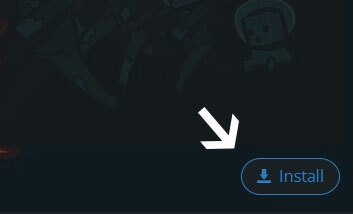 The included version of optifine is NOT the latest. I had graphical glitches with the latest, so I've included HD-D1 instead. -- When you enter a new world often times the client will lock up and might have a wierd vertical lines effect on the screen. This is normal and should go away after a few seconds. -- Downloading Terrain when creating a new world will also take awhile, it really just depends on what you spawn near. This is normal. -- Items added by chocolate quest are not craftable. This is a design choice by chocolatin. They have been added to chest loots and can be traded for if you find chocolatequest npcs. --The Mists of RioV mod adds 2 gui elements that are particularly difficult to adjust. It IS affected by your resolution. I currently have it set for playing on 1920*1080 monitors. If your resolution is different you WILL have problems with elements being way off or overlapping your hot bar. The elements CAN'T be turned off as they are integral to the mod. The left hand purple bar CAN be adjusted in game through mod options. The right hand blue bars can ONLY be adjusted through the config file. --Avast AntiVirus flags a check from one of the mods to modstats.org when you launch the game. The game will still run however. This may occur with other antivirus apps. I think its caused by holoinventory but im not positive. -Attempting to repair sturdy wings using an advanced enchantment table while within a pocket dimension causes the internal server to disconnect. No crash, but you get booted to the title menu and lose the wings. -Placing a diamond chisel from chisel2 on a table from chocolate quest causes the internal server to disconnect. Again, no crash, booted to title menu but you don't lose the item. It will be on the table. -When using personal dimensions if you place the door somewhere and move it later you will occasionally end up arriving at the old exit when you leave the dimension. Not sure if this is a bug or intentional. Either way, it's just a random quirk. -Survival tweaks allows right-click equipping of armor in your hotbar. This does NOT work with survival wings. They will equip but will glitch to show as armor and not wings, so when you try to fly you'll fall to your death (if jumping off something). Un equiping them should make them show up as wings again then you can equip them as normal. You want world generation options? You got world generation options! With alternate world generation, better world generation, new dawn, biomes o' plenty, extrabiomesXL, planetoids, and realistic world generation your set to create whatever your heart desires! True RPG exploration and development! With mods like ChocolateQuest, Rougelike Dungeons, Ruins, Floating Ruins, Twilight Forest, Mists of RioV II, and now abyssal craft and the aether. you'll have plenty of dungeons to loot and areas to explore! That's 20 dimensions total! Gain skill points as you level and enter specialized classes with the LevelUp mod. Increase your combat skills with ZeldaSwordSkills. Increase your permanent health to a whopping EIGHTY HEARTS with the combination of zelda heart pieces and tinkers construct heart containers. Of course you've got your cats, dogs and horses, but don't forget your camels and pinkys. Plus blocklings that can level up and fight along side you! Want a statue of your friend? A ramp instead of steps? More variations in vanilla design? Smaller blocks? Better bookshelves? Customized beds? I think statues, carpenters blocks, chisel 2, immibis microblocks, bibliocraft and more has you covered! Tired of bland creepers and zombies? No more! Want to fight a zombie general with 200HP that steals your weapon when you attack him, blinds you, and teleports behind you to beat your face in? No? Oh c'mon it'll be FUN! What about a ghost spider that can teleport? With the combination of kwastibustmobs, infernalmobs, and special mobs these are just a couple of hundreds of possibilities!